This drum features a special rough-finish Remlar-covered shell and Fiberskyn 3® synthetic head. (Remember, since the head is not tunable each drum may have a slightly different pitch.) 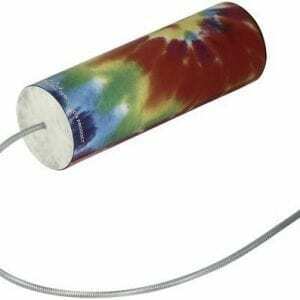 Produces a wonderful large, resonant sound. 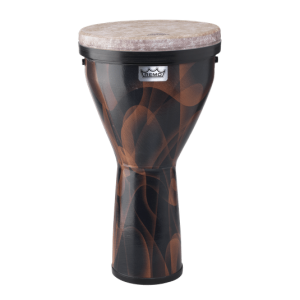 Great for a variety of situations: classrooms, drum circles, plays and musicals, or personal use. 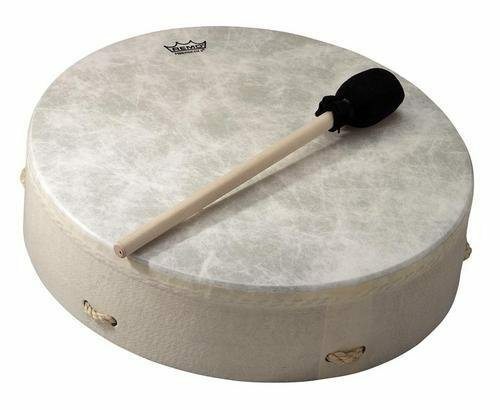 10″ diameter x 3.5″ thick pretuned buffalo drum. Rope cross-suspension on the back makes the drum very easy to hold. The depth of the drum makes it much more resonant than a basic hand drum. I drum in Shamanic journey circles. Unfortunately I live near the river and the humidity is intense. My skin drums can get pretty flat at times. I ordered the Remo 14" drum because another drummer suggested it would work for me. I love the drum. The tone is perfect. I can take it anywhere no matter how humid the weather is. 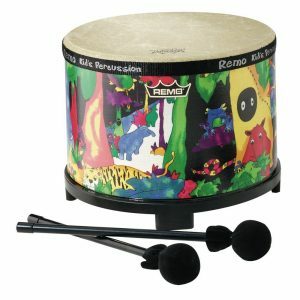 Was looking for a drum that did NOT involve animal hide. This drum, with synthetic covering, has an incredible sound. Highly recommended. This is definitely not a toy. Its as real as any real drum I've ever seen or played. It has an excellent deep tone to it. this drum would sound great in any native American drum ceremony. I am very pleased to own it. I plan on painting a buffalo on the head soon.